Pure Safety Group (PSG), now the world’s largest independent provider of height safety equipment, training and resources, has announced that it has acquired UK-headquartered Checkmate Lifting and Safety Ltd., the leading innovator, designer and manufacturer of lifting and height safety equipment, including its product and patent portfolio, installation and training businesses. The acquisition of Checkmate continues PSG’s plan to expand its full line of height safety offerings, particularly its premium line of products, and extend its global reach. Checkmate is a prime addition to PSG being a product innovation powerhouse with a premium products portfolio including self-retracting lifelines, horizontal lifelines, harnesses, and descent and rescue products. Pure Safety Group will leverage the combined range of all its product brands to extend its offerings to its growing global network. The acquisition is PSG’s third in the past year; in August 2017, the company purchased Guardian Fall Protection, based in Seattle, and Web Devices, based in Houston. Checkmate’s 100 employees and its production facilities and offices will remain in the UK. Checkmate was founded by Paul Auston in 1979 and owned by Paul and his son Oliver, who has been CEO of Checkmate since 2006. Paul Auston has a global reputation for his expertise in height safety and sling products and will remain as a consultant to the business, particularly in the marine shipping market, where he has deep industry connections, and to ensure customer continuity during the transition. Oliver Auston will manage the company’s integration into PSG and the UK operations, and become Chief Innovation Officer of PSG, leading product research, design and development across the Pure Safety Group companies. Oliver will be a shareholder in the expanded PSG group. “We were looking for a partner that would allow us to bring our products and design innovation to more users globally, to save more lives,” said Oliver Auston, “while retaining the strong employee culture that has made our success possible.” Auston adds that the company will immediately ramp up production to meet the needs of the global market as part of PSG. Gates adds that Checkmate’s commitment to developing products that meet or exceed ANSI voluntary standards also aligned with PSG’s recent commitment to being a standards leader in the industry. Last month, PSG announced ANSI Z359.18 compliance for several anchor products including details behind the testing that is performed in their accredited ISO 17025 laboratory and witnessed by a Professional Engineer. 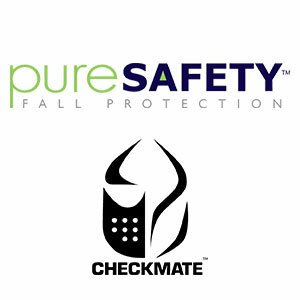 Pure Safety Group™, parent company of Guardian Fall Protection, Web Devices and now Checkmate, is the world’s largest independent provider of height safety equipment and training. PSG’s leadership team including industry veterans such as Brad Gates, Kevin Coplan, Pat Velasco, Anders Pettersson, and Roland Schylit have deep experience as innovators, thought leaders and business builders in the global height safety industry. Their decades of experience and combined strengths, along with the talent and technology of the teams at Pure Safety Group facilities across the world, have quickly built the company into the global source for keeping workers safe at height. Learn more at www.puresafetygroup.com. https://www.1stsafetynews.com/wp-content/uploads/2018/06/PURESAFETYCHECKMATE.jpg 300 300 1st 4 Media https://www.1stsafetynews.com/wp-content/uploads/2018/02/1stSafetyNewslogo-300x146.jpg 1st 4 Media2018-06-14 07:12:132018-06-14 07:14:27Height Safety Company Pure Safety Group Aquires Checkmate In The U.K. Leading UK working at height training and compliance company, XI Training, is urging local and regional organisations in the Lancashire, North Yorkshire and Cumbria regions to take their businesses to new heights this springtime – with a brand new course schedule. 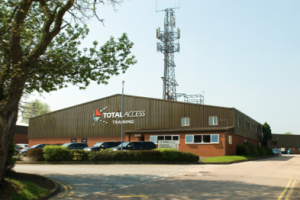 XI Training’s training schedule has been refreshed with a focus on core working at height courses including Arqiva telecoms courses, Rope Access, Emergency First Aid, Medical Certification and PPE inspections. Soon to be added is a number of specialist warehouse VNA Access and Rescue courses. See the full schedule here. With the catchy campaign strapline of “take yourself to new heights…safely”, the company has embarked on a number of marketing communications initiatives including a month long advert on local Lancaster based radio station ‘The Bay Radio’. Local and regional businesses have been busy booking courses that they previously had been unaware of being available, nearer to home. In addition, an informative and sustained social media campaign continues to engage an extremely healthy following on XI’s Facebook, LinkedIn and Twitter accounts; Marcia Dixon – Sales and Marketing Administrator for the business – has had in excess of 6,000 views on some of her posts, an illustration of the solid engagement the company is getting from its clients and other industry professionals. Larger organisations based further afield have also been re-affirming their commitment to XI Training’s investment in courses and services including the highly valued PPE inspection service which is a key part of the XI training experience. Training delegates and managers of engineering teams can arrange for training courses to be delivered at XI’s premises and for PPE kit to be delivered and inspected on a ‘while you get trained’ basis. The process also benefits from an on-site store and shop which can replace broken or worn out pieces of PPE as part of the service. Michael Betts – XI’s in house kit expert – who manages the PPE inspection phentermine 37.5 mg process, says “we love doing a great job and what’s important for the majority of our customers is to be able to rely on us to get them back to work and onto their clients’ sites as quickly as possible. Between our training delivery, ultra fast turnaround on certification and the provision of inspected and renewed PPE – we get the job done”. The company’s purpose built training facility based in Carnforth, Lancashire is home to a multitude of working at height training platforms including indoor and outdoor lattice climbing structures, a 17m step peg monopole, rooftop and VNA facilities, an on-site canteen and 3 media ready classrooms – all in all, a formidable specialist training centre some of which can be seen here! Brand new literature is available to download here with additional course information leaflets specific to each course also available in the Book a Course section of our website. For further information contact Marcia, Sue or Michael any of whom would be delighted to take your call – 01524 736 510. Every year hundreds of accidents and incidents are recorded as a result of working at height activities. Falls from height are one of the biggest causes of workplace fatalities and major injuries in the U.K. and accounted for nearly three in ten fatal injuries to workers (41 out of 142) and almost half of fatal falls took place in construction (20 out of 41 fatal fall injuries) during 2014/15. MRS Training & Rescue is a leading nationwide (ISO 9001:2000 approved) Health & Safety training provider to many businesses and industries throughout the U.K. They offer first class facilities to deliver a range of key height related training courses for people who are engaged in this safety critical work. obvious, for example if you are working on a roof or ladder, others may be less obvious, for example if you could fall into a hole in the ground. Employers and those in control of any work at height activity must make sure the work is properly planned, supervised and carried out safely. This includes using the right type of equipment for working at height and ensuring that any people engaged in the work are ‘competent’. How do you decide if someone is ‘competent’ to work at height? Employers should make sure that people have the necessary skills, knowledge and experience to perform the task, or, if they are being trained, that they work under the supervision of somebody competent to do it. The company are approved by Renewable UK (RUK) and the Global Wind Organisation (GWO) for the range of courses available to the renewable industry. The training provided was recognised when the company recently won the ‘Green Energy Award’ for contribution to skills. Training Centre Manager, Errol Parrish said ‘’we offer realistic training in a safe environment, where our facilities include a specially designed phentermine 37.5 mg training tower which provides our clients with the most realistic scenarios possible. 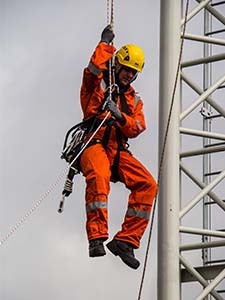 We are engaging with organisations and key stakeholders to highlight the courses available to help to develop skills to enable people to work safely at height across all sectors”. Working safely at height may not require the use of complex equipment and procedures as a suitable solution, take a sensible approach when considering precautions for work at height. There may be some low-risk situations where common sense tells you no particular precautions are necessary and the law recognises this. There is a common misconception that ladders and stepladders are banned, but this is not the case. 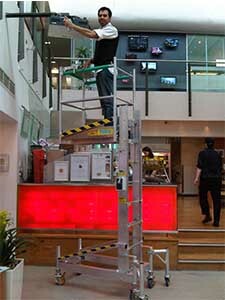 There are many situations where a ladder is the most suitable equipment for working at height. In the case of low-risk, such as using ladders for short duration periods, competence requirements may be no more than making sure employees receive instruction on how to use the equipment safely (eg how to tie a ladder properly) and appropriate training. Training often takes place on the job, it does not always take place in a classroom. 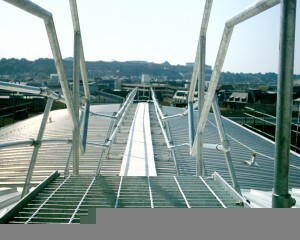 When a more technical level of competence is required, for example when working on towers, high platforms, roofs etc. with the use of working at height safety equipment, such as fall arrest and fall restraint devices, safety harnesses, work positioning lanyards, descenders and rescue equipment, then a more advanced appropriate level of training would be required. Errol added ‘’MRS Training & Rescue realise that can no single solution is fit for all working at height situations, therefore we also offer bespoke courses by working closely with our clients to design and develop training to specifically to meet their needs, always with safety, quality and professionalism at the forefront of our minds’’. You can find out more about MRS Training & Rescue by visiting their web site at www.mrsl.co.uk or by calling Errol on 01383 510766. Desksurfer’s are manufactured by Ability International Limited and are designed and made in the UK to meet the requirements of Facility Engineers requiring safe access over desks, also away from desk when needed. The Desksurfer can be operated and used by one work person, is manoeuvrable and will go through normal doorways and into lifts. Ability has a range of Desksurfer models providing reach heights from as low as 3m, to up as high as 6m. The most popular Desksurfers (Models 42UM & 42FM) provide reach heights up to 4.2m which cater for most office applications. The UM has an upright mast whilst the FM has a fold down mast, a useful function for flat packing the Desksurfer when transporting in vehicles. There are a host of options to assist the FM Engineer and the three order buy phentermine online popular ones are: – seat/tool tray; ribbed rubber insulating platform mat; PVC insulated top handrails. In a major relamp trial over dealer desks the Desksurfer (on hire) was proved to be 8 times more efficient than using the clients own desk spanning scaffold system. 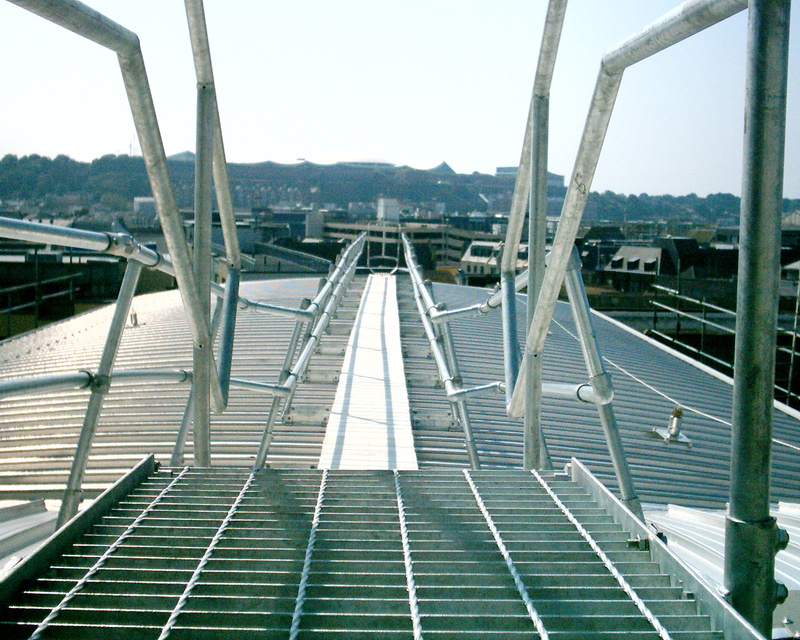 SAEMA, the Access Engineering and Maintenance Association, has as its principal focus the raising of standards in both the permanent and temporary façade access industry. Its member companies provide safe places of work so that operatives can undertake their various tasks safely and productively. O Maintenance of façade access systems. Finally, there are a number of SAEMA members who focus exclusively on the on-going maintenance of building maintenance units (BMUs), and associated equipment which is provided for work at height. Liaising closely with other specialist and standards-setting bodies, including the regulatory authorities, SAEMA participates in the development of national and international standards and is actively engaged in advancing the height safety agenda. With this in mind it has recently launched a presentation pack for duty holders which includes a free seminar designed to inform and educate anyone responsible for specifying, managing and maintaining façade access systems – either temporary of permanent. It is has been specifically developed for all those involved in the access process, including architects, civil and structural engineers, facilities managers, health and safety professionals, consultants and cleaning companies. ‘Not on your life!’ is a new safety initiative from PASMA, the trade body representing the mobile access tower industry. Launched at The Health & Safety Show at the NEC earlier this year, it champions the use of only those mobile access towers that satisfy the requirements of EN1004, the European product standard for towers that sets out the minimum safety criteria. According to PASMA, if you don’t use towers that conform to EN1004, you risk your own life, or the life of someone else, every time you use one. Significantly, falls from height remain the biggest cause of deaths and major injuries in the workplace. Developed in conjunction with the Health & Safety Executive (HSE), the campaign is supported by the Hire Association Europe (HAE) and the Royal Society for the Prevention of Accidents (RoSPA). It highlights the safety critical features of EN1004 towers which can be recognised by the distinctive EN1004 label. Non-compliant towers, often referred to as ‘domestic’ or ‘H-frame towers’, represent a serious risk to users. Typically they are made from painted or galvanised steel, and, amongst other things, use loose scaffold boards or DIY platforms which can break or move, have no built-in access to ensure safe ascent and descent, and do not come supplied with the correct size and quantity of stabilisers to prevent phentermine 37.5 mg usa overturning. In contrast, EN1004 towers have purpose-designed platforms with safe trapdoor entry and exit, offer built-in access, come complete with the necessary stabilisers, and have the required number and type of guardrails to prevent a fall. Free leaflets and posters are available in support of the campaign. They emphasize the serious and significant differences between the two types of tower and reinforce the message that selecting and using the correct equipment is essential to safe working. PASMA is also promoting PAS 250, a Publicly Available Specification (PAS) for low level-level work platforms often referred to as pulpits or podiums. Designs for this type of low-level work platform (LLWP) have previously been developed in the absence of a formal standard. Whilst the majority of LLWPs provide a safe solution to low-level access, there are aspects of some products that could be improved by adherence to relevant and specific design criteria. PASMA has therefore sponsored the development of this PAS in order to introduce minimum safety and performance criteria for these particular products. Pulpits or podiums designed in accordance with PAS 250 apply current best practice. It covers material specifications, design requirements for the working platform, guardrails, toe-boards, access, mobility, feet and adjustable legs and the content of labels and user guides. PASMA strongly recommends that if you have responsibility for purchasing this type of product that you specify PAS 250 compliant products. https://www.1stsafetynews.com/wp-content/uploads/2014/08/pasmalogo1.jpg 600 600 1st 4 Media https://www.1stsafetynews.com/wp-content/uploads/2018/02/1stSafetyNewslogo-300x146.jpg 1st 4 Media2014-08-25 21:31:122018-03-06 23:31:56NOT ON YOUR LIFE! 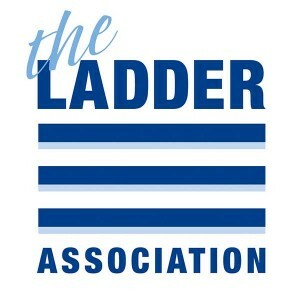 Earlier this year the Ladder Association welcomed the decision by the Health and Safety Executive (HSE) not to change the Work at Height Regulations (WAHR) following HSE’s completion of the review recommended by Professor Ragnar Lofstedt. SAFETYWORKS & Solutions are one of the UK’s leading manufacturers of fall protection systems and access solutions, answering the needs of the building industry, consultants, architects, surveyors and contractors with their high performance ‘safety at height’ solutions.